Dolphins Kenyan Drake may very well be the most disliked fantasy running back of 2018. The 24-year-old is entering his third season in the NFL, and despite showing some promise at the tail end of last season, fantasy writers have been continuously trying to warn fantasy owners of his value in 2018. The Dolphins have yet to play a preseason game in 2018, and it’s very likely this Depth Chart was written in a way to show potential camp battles, or simply decisions that have not yet been made. But that’s not how things work in this day and age; as the masses will see this and abandon ship on the idea of Drake as an RB1, even if it changes later this month. The result of this depth chart news will undoubtedly plummet the fantasy draft stock of Kenyan Drake….but that’s a good thing. 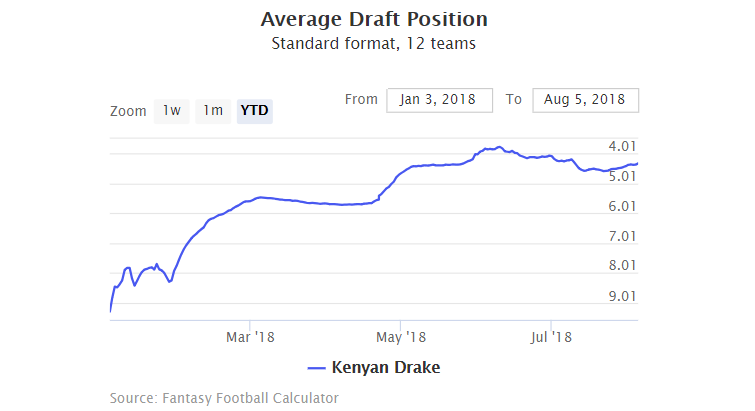 As you can see, there has been a steady increase in Kenyan Drake’s average draft position all year. Slowly fantasy owners were starting to buy into the hype of Drake’s fantasy value. However, he has never risen higher than the 4th round, unlike the “ADP runaway train” Jerick McKinnon who is now pushing the 2nd round of fantasy drafts. Flashback: How Did The Drake Hype Start? 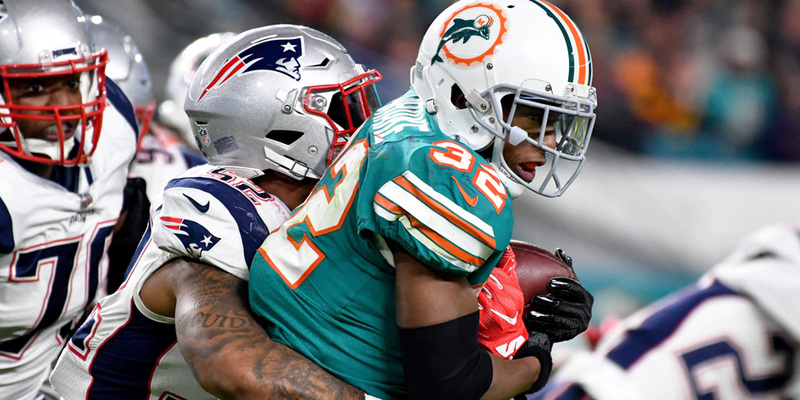 In late October of last season, the Miami Dolphins traded Jay Ajayi to the Philadelphia Eagles which created an opportunity for Kenyan Drake and Damion Williams to step up in his replacement. The two RB’s split carries until Williams suffered a shoulder injury week 12. That is when we got a small sample of what Drake could do as a lead back for the Dolphins. Using Drake’s 5-game sample as an indicator of production if given a starting role, you get solid RB1 type numbers. In PPR leagues, Drake would average 280 fantasy points, that’s LeSean McCoy territory. In Standard scoring, you’re looking at 226 Fantasy points. The Dolphins depth chart is proof that the coaching staff is not ready to hand Drake the starting job, but things could change. 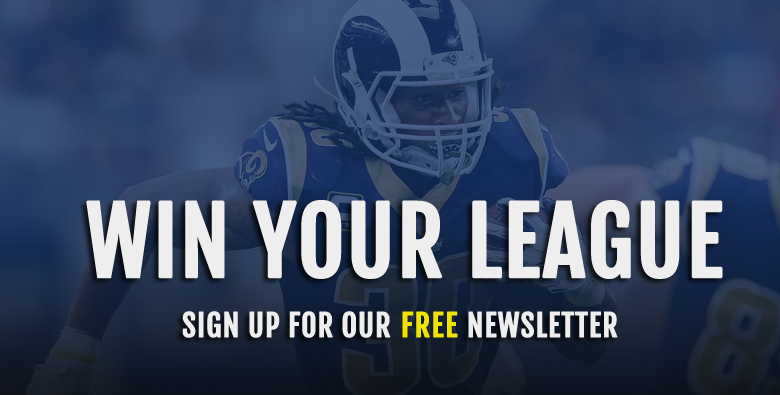 A strong performance throughout the preseason could solidity Drake as the RB1, but in terms of fantasy football, the depth chart news is the best possible thing that could have happened if you have the slightest interest in drafting him. I expect Drake to fall to the middle of the 5th round by the end of August unless he has a few spectacular preseason games. If he does slip, Drake will become a bargain player. He has a lot more upside than players like Marshawn Lynch, Dion Lewis or Carlos Hyde, which would be running back options in the 5th to 6th round. If you’re not the type of Fantasy owner that takes risks, then clearly, Drake is not your guy. However, he is probably the top risk vs. reward player for me in 2018 and worth the gamble. 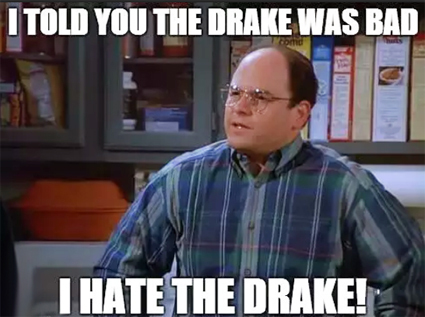 Majority of fantasy football owners play in standard scoring league formats, but for those that play in PPR or half point per reception leagues like me, you should be bumping Drake up regardless. Alex Butler from UPI.com wrote a piece that talks about how Drake is projected to see a lot of targets this season. In total, the Dolphins lost 202 receptions over the offseason in player turnover. Drake, Amendola, Wilson, and rookie tight end Mike Gesicki will largely be tasked with claiming those targets, while Kenny Stills and DeVante Parker continue to see their share of looks. Drake averaged 3.3 receptions and 29.5 receiving yards per game in his six starts last season. Those numbers come out to 53 catches for 472 yards over a 16-game season, an improvement over his actual aerial production of 239 yards on 32 receptions last season. There is also the element of garbage time. The Miami Dolphins win total odds from most Las Vegas sportsbooks is over/under six wins in 2018, which to be honest, seems generous. 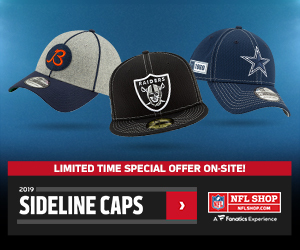 The Dolphins play the AFC South and NFC North in 2018, which is arguably filled with many teams on the rise. 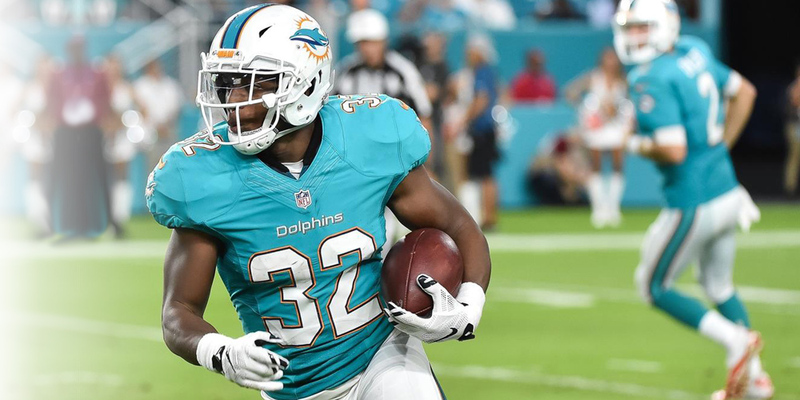 If the Dolphins find themselves trailing late in games, a pass catching RB like Kenyan Drake will come in handy. Targeting a player like Drake as your RB2 in a PPR league could be an excellent strategy. Kenyan Drake is not a must-have fantasy player in 2018, but he has far more appeal than what most are giving him credit for.